Not wanting to pad out the book or confuse the "look inside"/"preview" features of the ebook stores, I didn't include an Authors Note in the ebook editions of the novel or short story. Instead I include them here. I am planning on releasing a series of four novels within the "Surviving The Evacuation" series. 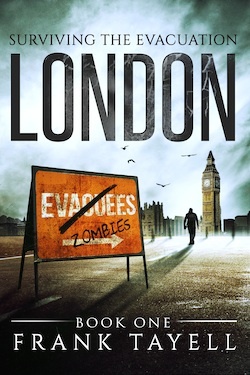 The first three are the first person diaries of Bartholomew "Bill" Wright and the survivors he meets as he wanders the wasteland that is Britain, searching for an explanation as to how the undead came to stalk the Earth. The fourth book, a third person narrative (and the book I wrote first) is set ten years later and is set in The United British Commonwealth, one of the few functioning societies left on the planet. But I found that the more of that story I wrote, the more background I needed and the more I kept coming back to the Outbreak itself and those terrible, horrific first few months and years when everything collapsed. So I went back to the beginning. 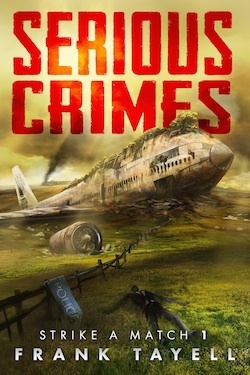 In this fourth book, this story set ten years after the outbreak, one of my characters found a journal detailing the immediate aftermath of the outbreak. The author of this journal was never named (that page had long been destroyed) nor was there any indication as to whether this diarist had survived. This became the series Surviving The Evacuation. Book 1, (available now) deals first with the events that caused the outbreak, then the horrors of the evacuation as the journals author escapes through Southern England. With each novel I plan to release a short story featuring characters and events which didn't fit in the first person account of the novel. What happened in the US after the Presidents broadcast, what happened to the nuclear powered submarines, or the flotilla of refugees heading to Britain, the governments who sought exile in The Republic of Ireland, and what happened to Sam... Those questions (and many others) will be answered in the short stories, but first I wanted to explore what would happen in a Retirement Home when zombies walked the Earth. That is the story told in Zombies vs The Living Dead.